This 14K gold infinity wedding band ring for men from Apples of Gold Jewelry is a stylish wedding band with a deep meaning that comes from the heart. The looping infinity symbol that goes around the front and sides of the ring are sure to stand for a constant reminder of how much love you share with your spouse. Crafted in 14k yellow gold, the stunning men's wedding band comes in a width of 3.59mm, making it the perfect size ring for anyone. 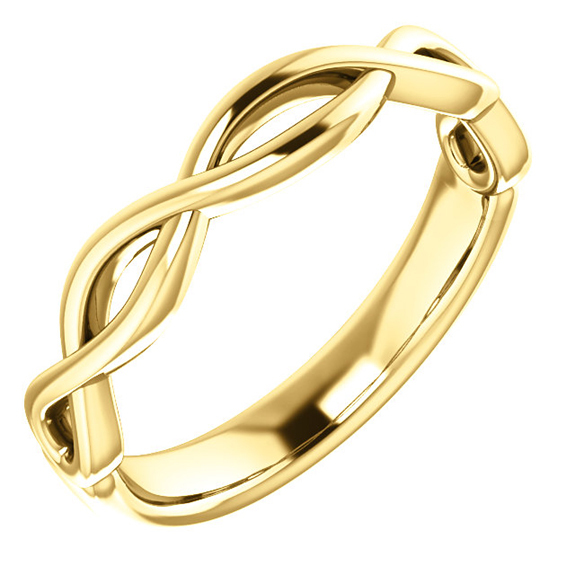 We guarantee our 14K Gold Infinity Wedding Band Ring for Men to be high quality, authentic jewelry, as described above.